Madder root is harvested from the first-year taproots of a climbing vine related to the coffee plant that's better known as Common Madder or Dyer's Madder. Madder root has been used for centuries to produce a red dye to color wool, cotton, leather and other textiles. Depending on the type of mordant used to extract and “fix” the dye, various shades can be obtained, from saffron to turkey red and madder lake. 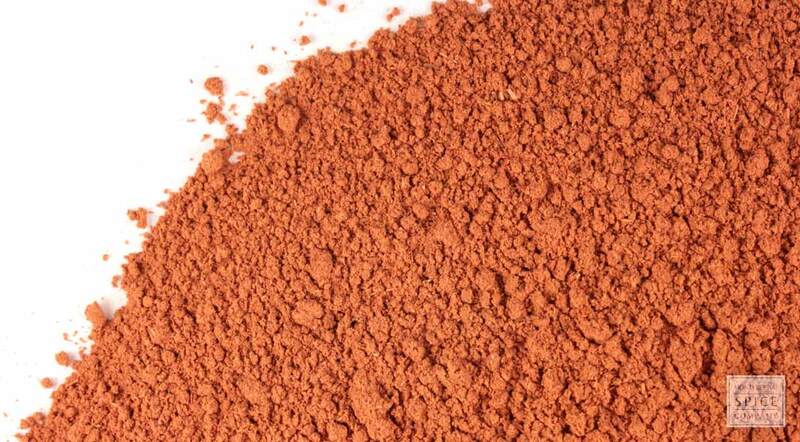 appearance & aroma Orange-red powder without significant aroma. cosmetic Use to give color to soaps and cosmetics. household Yields a natural dye for textiles ranging in color from orange to blue-violet-red, depending on the mordant. industrial Madder root is used to produce a coloring agent referred to in industry as rose madder. safety There is no negative safety data regarding the topical use of madder root, but internal use is not recommended as some studies indicate that its compounds may cause cancer and birth defects in animal models. Given that, it might be best to avoid handling the herb at all during pregnancy. Blend with coconut oil in soaps and cosmetics. 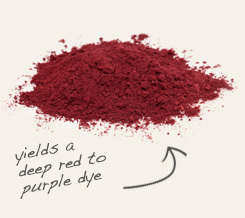 Combine with powdered alkanet root for more color variance when making dyes. Madder root, also known as dyer’s madder, is a perennial herb in the bedstraw family that is native to the Mediterranean and southern Europe. It’s an attractive plant that produces star-shaped yellow flowers and will train itself around any support provided. The herb is also xerophytic, meaning highly drought-resistant. The roots, which may be harvested in the second year, contain the organic pigments alizarin and purpurin. For centuries, the plant has been used to make natural dyes for cloth and wool. Evidence of the plant being used to dye garments have been found in ancient archaeological sites in India dating to the 3rd millennium BCE and in France circa 570 AD. Madder was also widely used in England, where it remains a classic specimen of the traditional medieval-style English garden. The 17th century English botanist Nicholas Culpeper, who wrote that madder has affinity with the red planet and the blood, recommended the herb for “burstings.” It was also about this time that madder became the dye source for the scarlet-colored coatees worn by the British redcoats.